effect. Just a year after completion, traffic jams were the norm, and volume exceeded the capacity for which the road was designed. The last cars rolled along the Central Artery in December 2003, before the completion of the Big Dig, the underground highway with the green ribbon of public parks above. 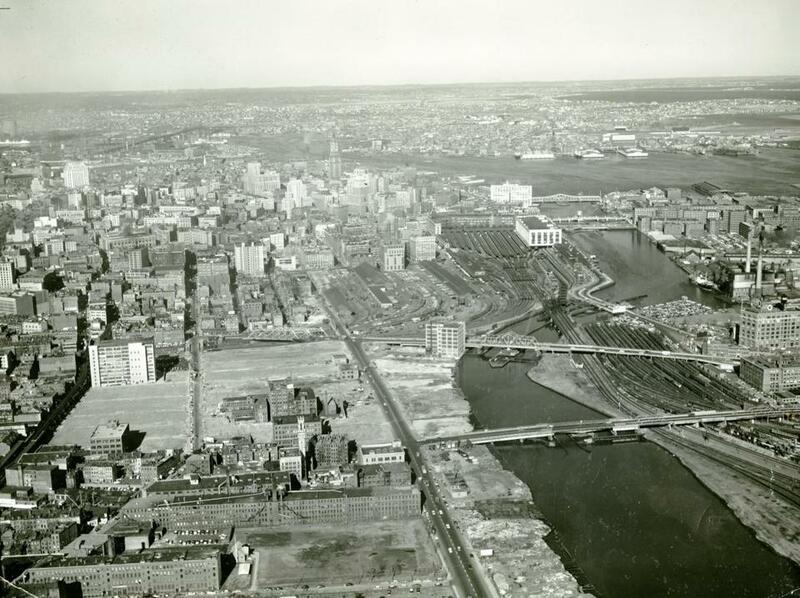 This undated photo presents an aerial view, looking north, of Boston before construction of the Central Artery. The present-day Pine Street Inn building can be seen in the lower middle. That building was Fire Department headquarters until 1951 and featured a tall drill tower that was used for training recruits.